The last weekend of the “summer” must be celebrated as fully as possible. Beach. Check. Lobster boil. Check. Outdoor concert. Check. So after beaching it on Saturday and having some friends over for a seafood feast, on Sunday we headed for the Made In America music festival in Philly. Jay-Z actually planned this event, which was filmed by Ron Howard for a documentary to be released at some point. Despite the ridiculous lack of publicity outside of the Philadelphia metro area (no thanks to Budweiser, the major sponsor), headliners were, of course, Jay-Z (Sat.) and Pearl Jam (Sun. ), plus tons of other amazing artists. Tickets were cheap – $75 plus surcharges even when purchased the same day. Even if the weather didn’t exactly cooperate on Sunday, the rain didn’t stop the music for about 50,000 people. 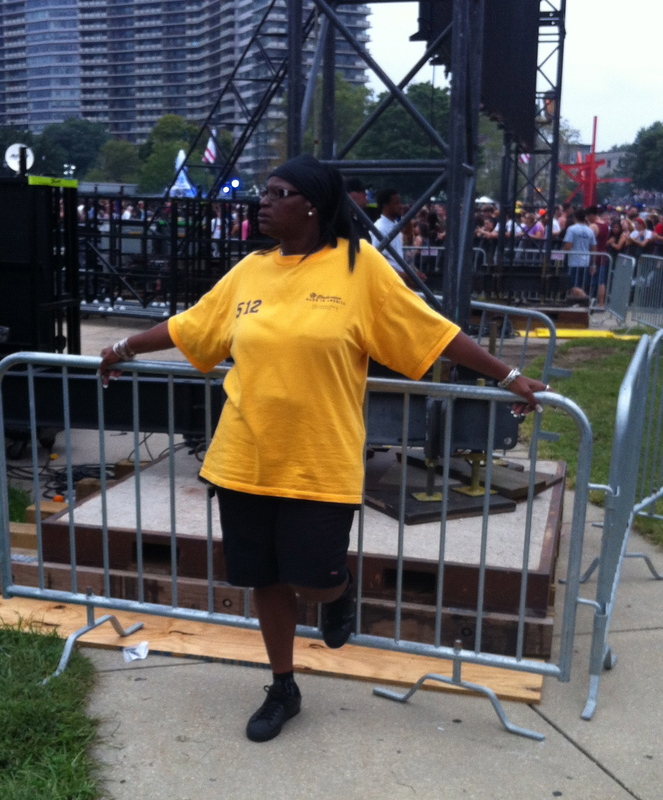 This security guard was clearly enjoying herself. 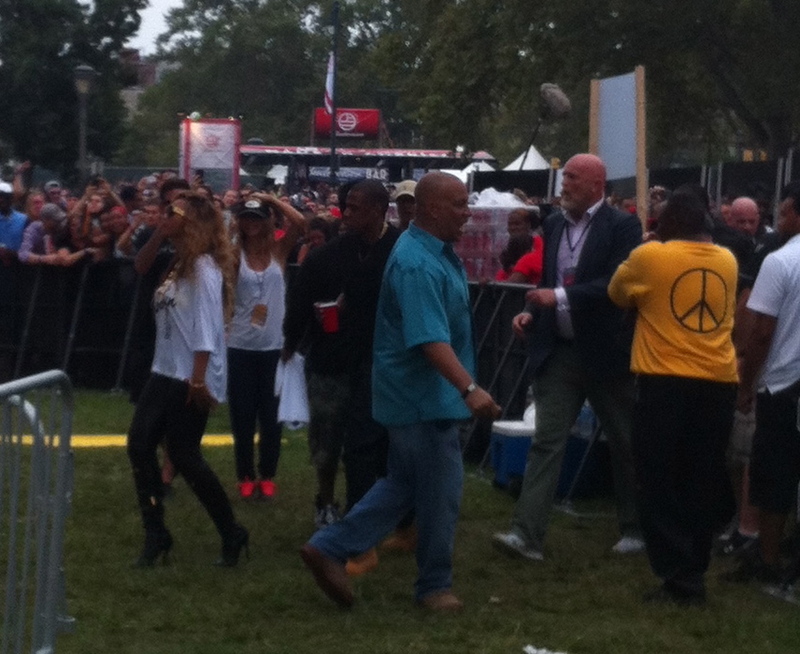 Run-DMC was a major draw and tons of fun– old school songs that made even Jay-Z and Beyonce come out to sing along. Drake, the next big name act to perform, was in perfect acting form and wearing all white. He failed to sing Best I Ever Had (a personal disappointment) but had the crowd going. There were several other bands and DJs in between, including the energetic Odd Future and bluesy Gary Clark, Jr., but for most people it was all about Pearl Jam – who performed for 2 full hours! And they played almost every hit — from Don’t Call Me Daughter to Evenflow to Black to Alive. This was not one of those occasions where the band comes out to showcase their new material and leaves the majority of the crowd head bobbing. Instead, everyone was singing along and having a great time, even with a few raindrops. Jay-Z even came on stage to sing 99 problems! It was one of the best concerts I’ve ever attended. 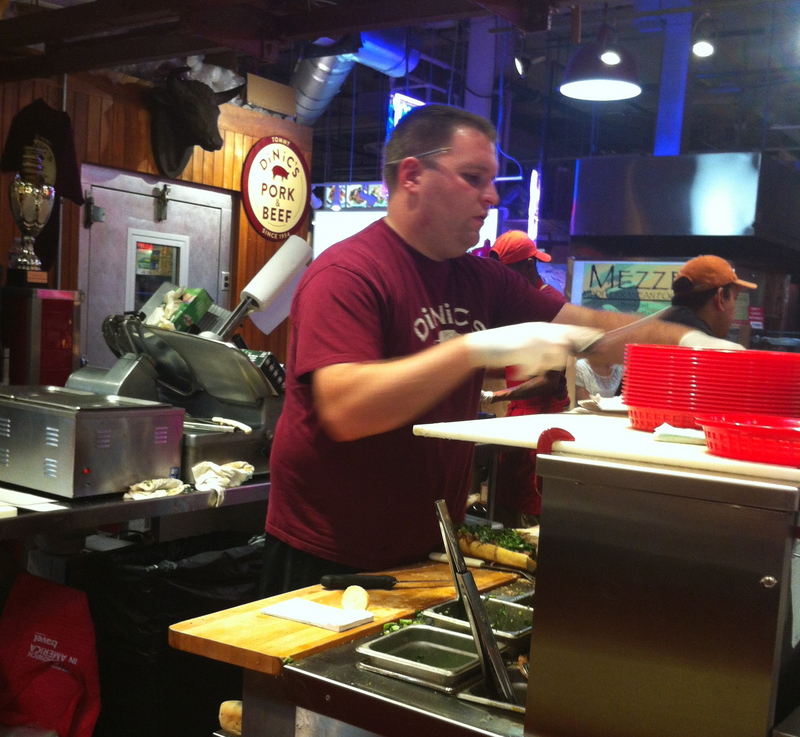 Since we stopped for lunch at DiNic’s in the Reading Terminal Market for the award winning pork sandwich (which I’ve loved long before Adam Richman deemed it the best sandwich in America), we weren’t planning on being hungry anyway. 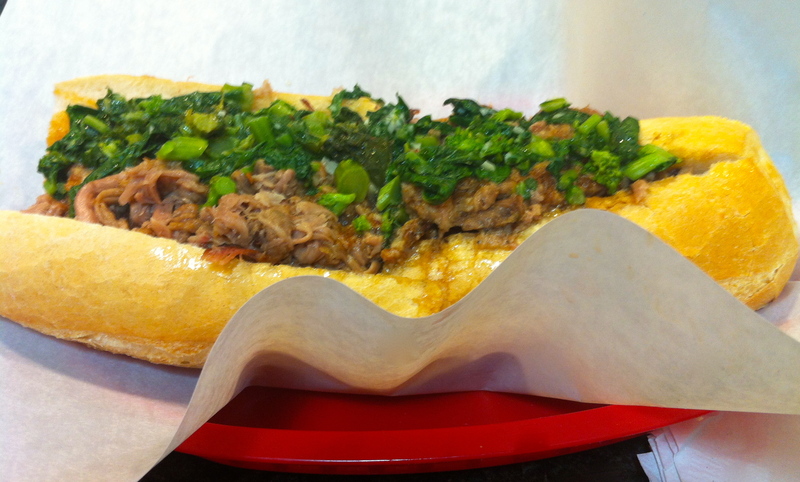 Roast Pork, Sharp Provolone and Broccoli Rabe. Incredible. 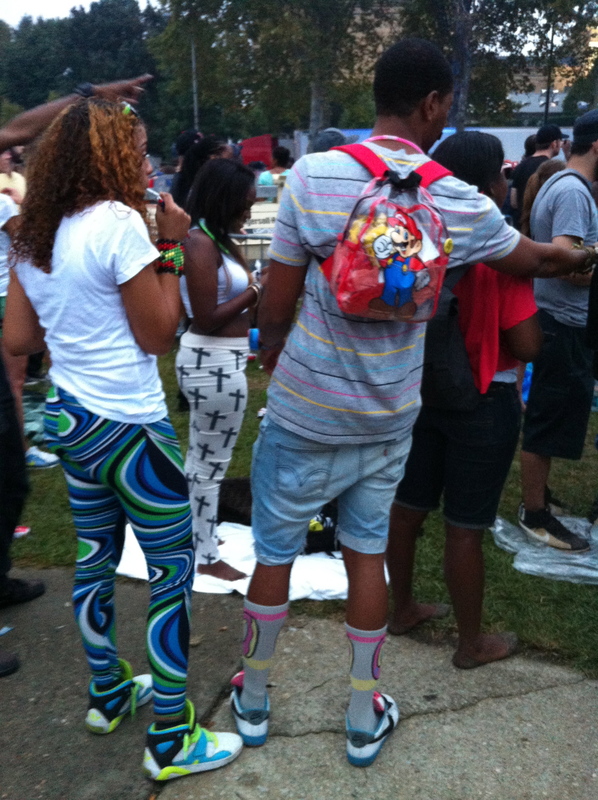 It was a great event all around, with lots of police presence (mostly dancing) and ample port-o-pots. Philly is clearly hoping that this will become an annual event, as do I. Hope everyone had a fun and labor-free long weekend too! Now back to the grind….